Coastal hazards are among the world’s most threatening hazards. With half of the world’s population living near the coast, an immense threat is posed by these hazards to life and health, livelihood, and the economy. 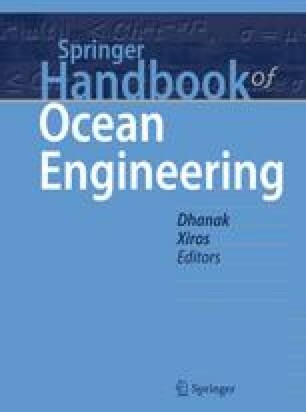 In this chapter, characteristics of coastal hazards are described, first by presenting a historical context, then by laying out our current understanding of the physical problems of interest for coastal design, and finally by presenting simple methods for initial interpretation of the hazard. A number of natural processes and anthropogenic activities adversely impact coastal communities, critical infrastructure, and port facilities along the coast. Natural coastal hazards may generally be classified into those that are episodic and those that occur over long periods of time. Episodic hazards include coastal storms and tsunamis while long-term hazards include, for example, sea-level rise . Many anthropogenic activities also result in long-term impacts at the coast. For example, inland dam construction produces long-term impacts on coastal sediment supply. In the following, we describe the most common coastal hazards and then discuss methods for evaluating their impacts at the coast. National Oceanic and Atmospheric Administration: Hurricane Sandy advisory archive, http://www.nhc.noaa.gov/archive/2012/SANDY.shtml?